Spondylosis: What Are the Symptoms and How Are They Treated? 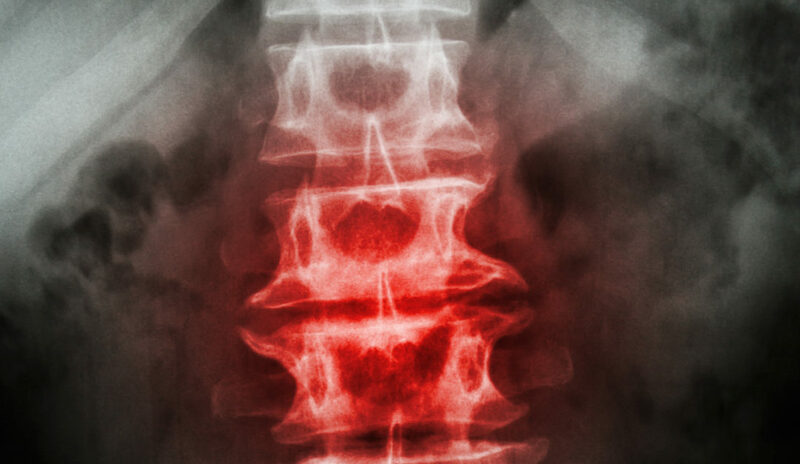 Spondylosis, which is often referred to as spinal osteoarthritis, is a degenerative disorder that affects the soft tissues and bones of the spine. Spondylosis is a highly individualized condition. Aging is the primary cause; however, factors such as weight, musculoskeletal injuries, occupations, genetics, and tobacco use play key roles in the disorder’s development and progression. To learn more about spondylosis, it is important that we first go over some related anatomy. This condition most commonly affects the vertebrae of the cervical and lumbar regions, as those are more mobile than the thoracic spine. Spondylosis first presents as mild inflammation of the vertebrae and their soft tissue attachments. If left untreated, inflammation may become worse and symptoms ranging from mild to severe may develop. Pain and stiffness are the two most common symptoms of spondylosis. Other symptoms may include tingling, numbness, and/or weakness in the extremities. Usually, these symptoms occur due to the spinal cord or a spinal nerve root being pinched by a bone spur that develops because of persistent inflammation. A medical history. A detailed medical history includes the patients current and previous medical conditions and injuries. It also includes a description of the patient’s symptoms and their severity. A physical exam. A physical exam consists of a serious of tests that allow the specialist to accurately diagnosis spondylosis. Medical imaging studies. X-rays, MRIs, and CT scans show the specialist the bones and soft tissues of the spine. Once spondylosis is diagnosed, an effective treatment plan can be prescribed. Stopping or slowing down activities gives inflammation a chance to calm down. Activity modification. Slowing down or stopping activities that cause symptoms ensures that it will not progress. Nonsteroidal anti-inflammatory drugs (NSAIDs). Over-the-counter and prescription medications used to decrease pain and inflammation. Physical therapy. Stretching and strengthening exercises that help decrease pain and stiffness and improve range of motion. Spondylosis that produces severe symptoms may need to be treated using surgical intervention. Minimally invasive spine surgery is a relatively new type of surgery that eliminates symptoms. The main advantage of minimally invasive spine surgery is decreased recovery time. If you are experiencing chronic back pain, please contact our offices in Glen Rock or Maywood, NJ to make an appointment. One of our Orthopedic Spine Specialists will find out what is causing your pain and then come up with a personalized treatment plan.